1. The Big Move to LA. We’d be remiss if we didn’t talk about the Lakers making their big move to LA. Did you ever wonder why the Los Angeles based team was called the Lakers? It’s because, at first, they were from Minnesota or the land of 10,000 lakes. But in 1960, the team moved to Los Angeles where the team had the chance to really shine. Within two decades, the team had become an all-out Hollywood show. This move attracted new fans and viewership like the NBA had never seen before. 2. The Best Owner in the World. 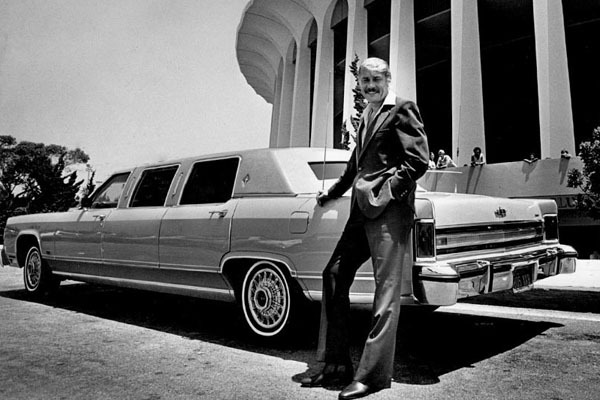 In 1979, Jerry Buss bought the LA Lakers and things took off even more from there. Buss was originally a real estate kingpin which allowed him to bring a new and useful set of skills to the team. He turned it into a true business and he knew how to leverage his assets. Soon after he facilitated the drafting of Magic Johnson, who started the team’s record of strong, on-court leadership and players that really knew how to play the game. Another moment in Los Angeles Lakers history that needs a mention is the announcement that shook the basketball world to its core. In 1991, Magic Johnson announced that he would be retiring from the world of basketball, a decision that came after learning that he had HIV. This was an announcement that took the world by storm and added a slippery slope to the downward trend the team was heading towards. 4. Trading for Kobe Bryant. One of the biggest stars the LA Lakers had ever seen was Kobe Bryant, a young kid fresh out of high school. Bryant decided he didn’t want to attend college, instead of going to the NBA draft in 1996. He was the 13th pick and traded to the Lakers, where he became the second youngest player in history. Soon, he was the youngest NBA all-star. Around the same time, the Lakers signed Shaquille O’Neal. And while Bryant and O’Neal would be a force to be reckoned with, they weren’t without their differences. The Lakers were dealing with a fall from glory and, together with Kobe Bryant, Shaq started to rebuild the team’s brand and reputation in 2000, when he became the MVP. He then led the Lakers to three consecutive championships in 2001, 2002, and 2003. 6. The 81 Point Game. On January 22, 2006, Kobe Bryant made history when he scored 81 points against the Toronto Raptors, second only to the 100-point game by Wilt Chamberlain. There’s a lot of speculation about this game both from people on and off the court at the time. But, the man Kobe Bryant himself described this event as something that “just happened.” It appears to be one of those moments in a great player’s history that will go down in history as legendary. It was the one and only game his grandma had ever seen him play live, too. During the 2009 games, tensions were running high. The Lakers had traded Shaq to the Miami Heat in 2004 due to rising tensions between Kobe and Shaq. And, despite Kobe and Phil Jackson’s best attempts at keeping the team relevant, there was still speculation that Kobe wouldn’t be able to lead the team to victory. All that changed when Kobe Bryant led the team to a 2009 title, Shaq free. 8. Squashing the Celtics Rivalry in 2010. One of the best NBA rivalries ever was the one between the Boston Celtics and the LA Lakers. In 2008, the Celtics squashed the Lakers in the finals, a defeat that the Lakers had to sit on for nearly two years. However, during a classic seven-game series, the Lakers finally took their pride back from the Celtics in 2010. The Lakers yet again fell on hard times when, during the 2013-14 season, Kobe Bryant suffered a knee injury that would knock him out of the rest of the season. This was a crushing blow to both the team and the player, which was made clear when Kobe retired just two rough seasons later. While there’s a lot of drama and speculation surrounding LeBron James, there’s no doubt that the LA Lakers struck gold when they managed to land him on their team in 2018. James beat the Lakers 16 times, a fact that likely spurned Kobe Bryant. Be a Part of the Los Angeles Lakers History. Without a doubt, the Los Angeles Lakers history has been full of ups, downs, pitfalls, and successes. However, despite the bad times, they continue to be one of the most watched NBA teams in history. They never fail to amuse, even if they don’t always amaze, and with this recent signing, there’s no doubt that they’re going to bring back the glory days of old. If you want to be a part of LA Lakers history, then get in the game. Purchase tickets to upcoming Lakers games today. The Lakers Mural by Gustavo Zermeño Jr.